Image courtesy of Kim Holistic Foot & Ankle Center. Kim Holistic Foot & Ankle Center has started its 19th Annual Shoe Drive, one of the largest of its kind in the city. The center has brought the Long Beach community together for nearly 20 years for the sake of helping those a little less fortunate. For the past six years,13-year-old Monica Hyndman has been collecting shoes for those in need in Long Beach. Hyndman is the number one shoe collector of the drive and spreads awareness for the cause during her regular school year. The teenager was in Guatemala when she noticed a girl walking down the street without shoes, when it sparked an empathetic response. When she returned home to California, she decided to do something about it. This year, participants have already donated 1,000 pairs of shoes and counting to the center, the result of Kim’s decision to start collecting shoes from his colleagues in 1997 to help those in need in Mexico and Los Angeles. To celebrate this year’s shoe drive, Kim Holistic Foot & Ankle Center will host a Shoe Drive Health Fair at 11:00AM on Saturday, August 20. 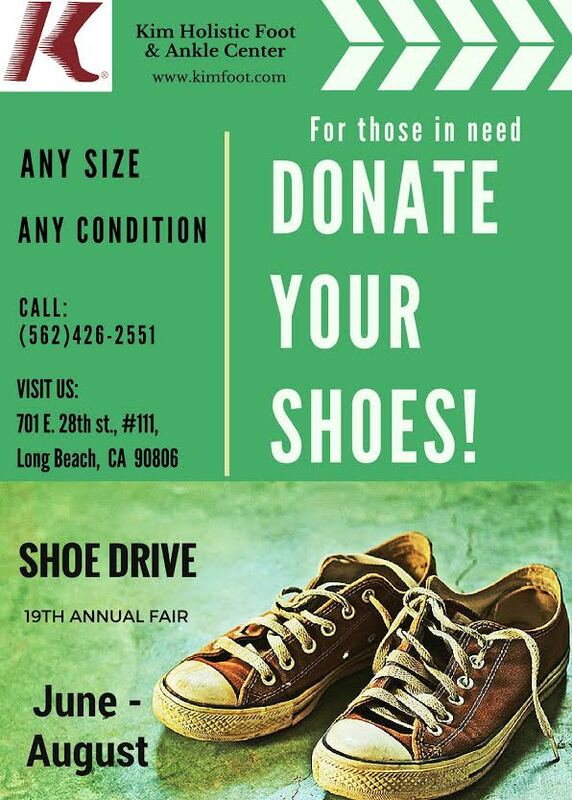 Attendees are welcome to bring their gently used shoes to the event or drop them off before then. For more information about the shoe drive and Kim Holistic Foot & Ankle Center, visit the Facebook page here. Kim Holistic Foot & Ankle Center is located at 701 East 28th Street, #111.